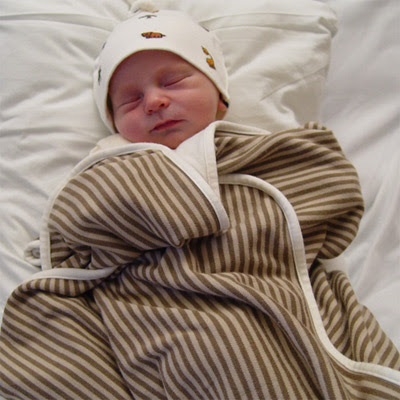 I'd like to extend a warm welcome to new Bondville advertiser Babyjo Bamboo Wear - a fabulous line of environmentally sustainable baby clothes, blankets and gifts. Jo launched Babyjo Bamboo Wear after discovering her 5 month old daughter suffered from mild eczema and wanted to find clothing that would be soothing, rather than irritating for Mia's sensitive skin. And for the rest of us, bamboo fibre is an amazing product to consider for our little ones. Jo has a great list of Bamboo Facts on the Babyjo website, explaining the virtues of this alternative fibre, including environmental sustainability, fabric breathability, antibacterial and antifungal properties and the soft, luxuriant feel. Stop by the Babyjo website for a great range of Bamboo clothing, blankets, gifts. Babyjo also has a strong Green Practices ethic, to ensure that products minimise their impact on the environment. Yet another reason to go Bamboo. P.S. : Stop by the Mathilda's Market in Melbourne on June 21st to check out Babyjo Bamboo Wear first hand. Natural looks good on everyone. Hi Teri - glad you agree!